I admit it. 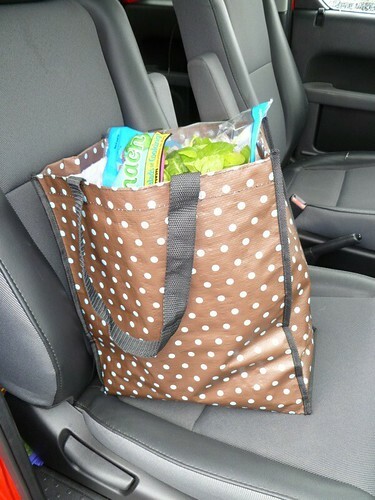 I’ve carried a couple of those reusable grocery bags in my car for at least a couple of years and have never remembered to take them in the store with me. But today is a new day. I’m going to hold my head high and even brag a little bit. Today I carried one in the store with me! I feel so green, and a quick glance at my receipt revealed a 5¢ credit on my charge. Now if that isn’t motivation to remember next time I go shopping, I don’t know what is. And if you go on Tuesday to Fred Meyer you’ll get another 10% off!! You go girl ! !